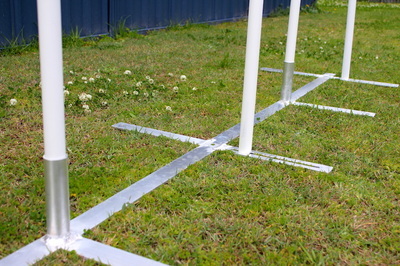 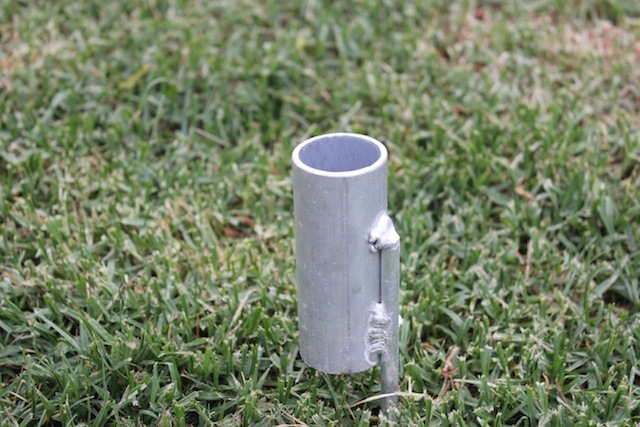 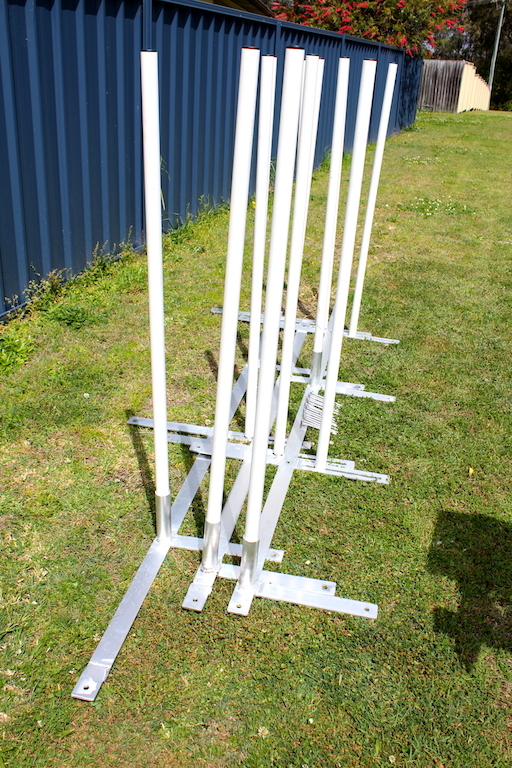 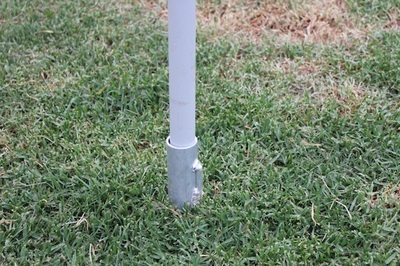 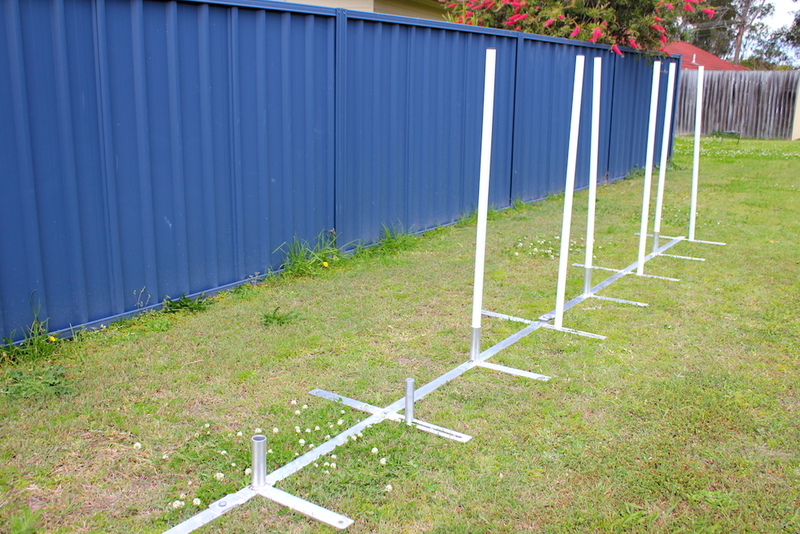 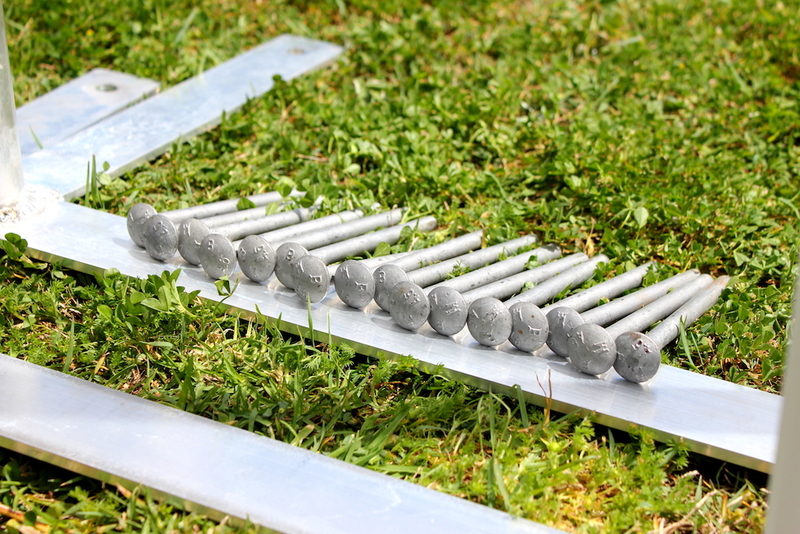 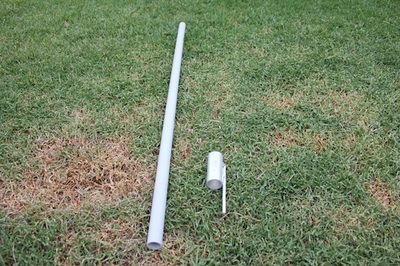 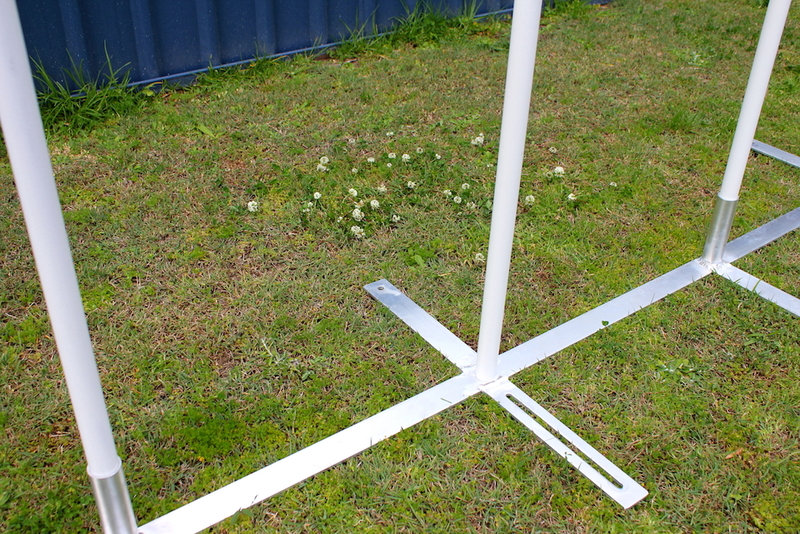 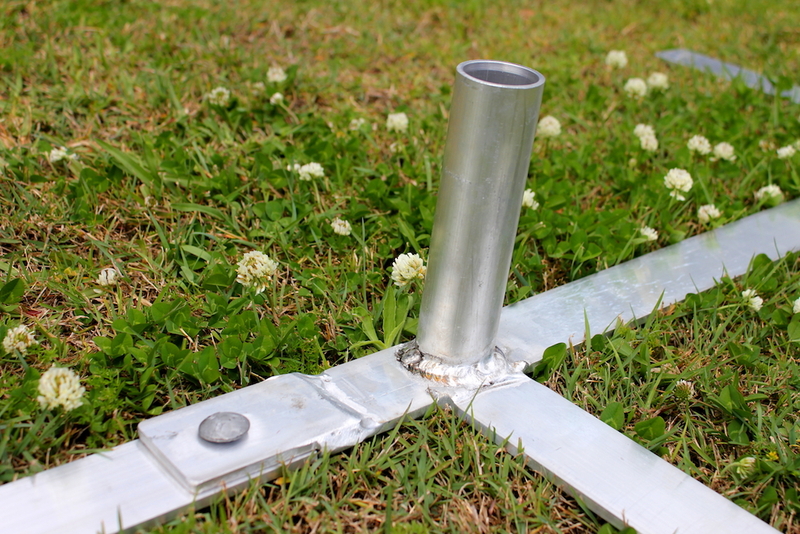 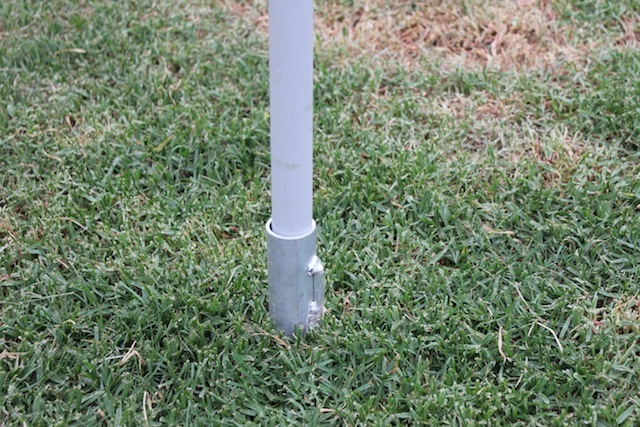 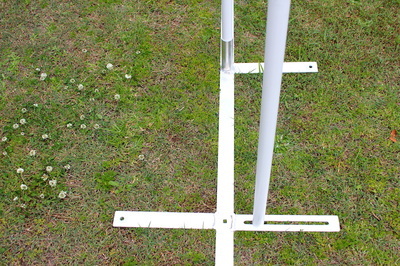 Light weight aluminium peg complete with a 1 meter high PVC post. 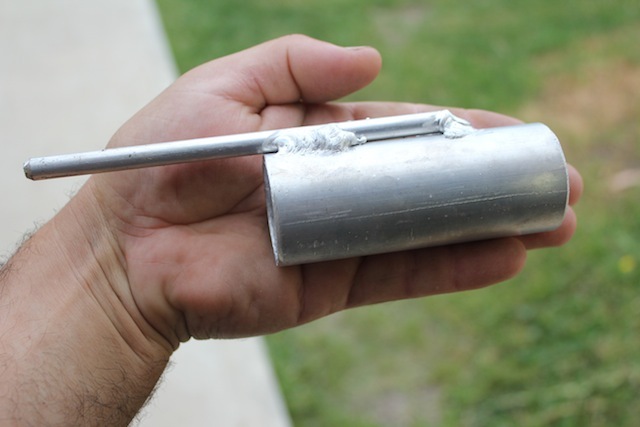 This item is primarily used in assisting trainers to introduce a dog to weavers. 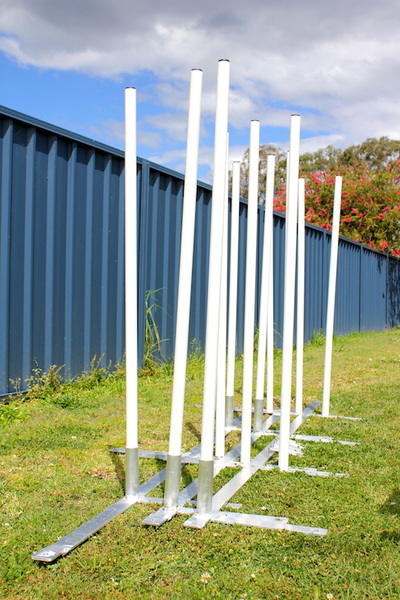 The pegs are light, small and can be moved or stored away with relative ease. 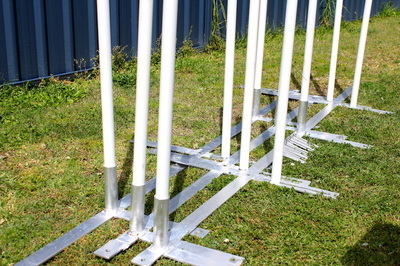 The fact that they are individual items also mean they can be moved into any position required to accommodate any method of training that you may prefer. 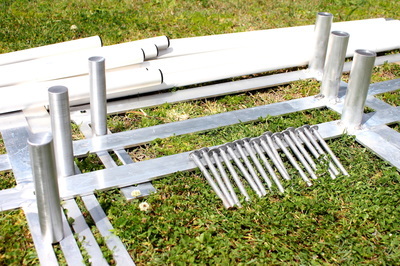 This Item can also be used as a weavers set buy purchasing a twelve of the individual pegs. Although using this item as a set of weaver is a great training tool they rely only on the spike at the base to remain upright and have no other lateral support. 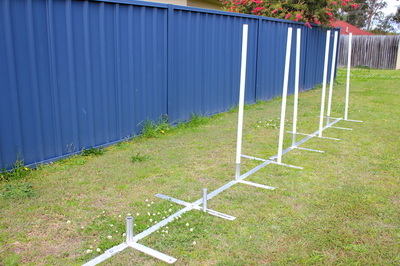 Please be aware that larger breeds may cause these pegs to become dislodged and fall over. 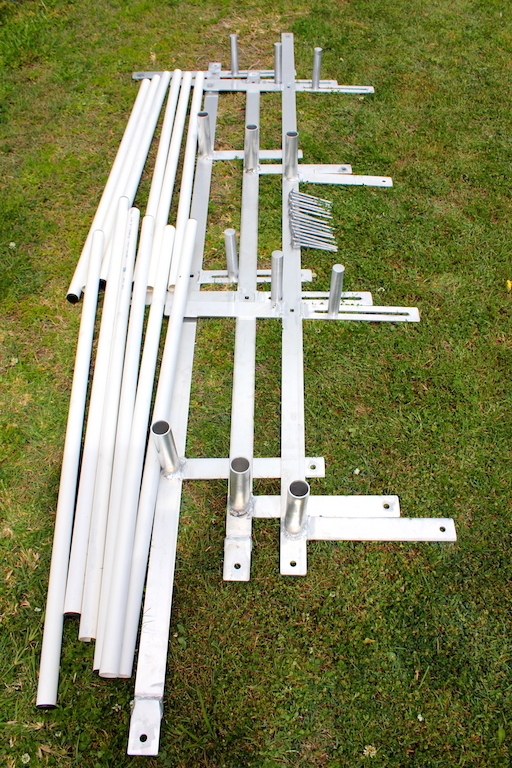 Strong sturdy light weight Aluminium adjustable channel weavers. 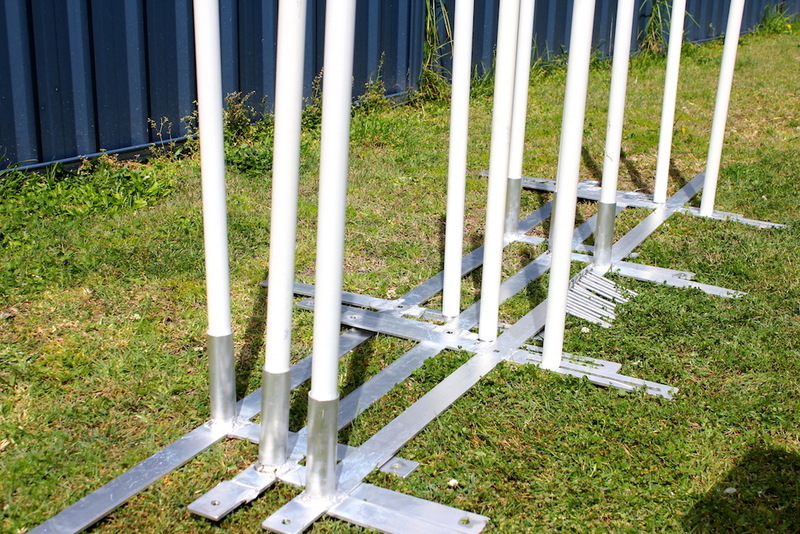 Easily adjustable to suit every dog from a complete novice to an agility champion. 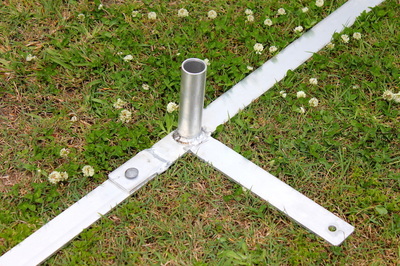 To adjust the channel width Simply loosen the adjustable holder by turning anticlockwise, slide to the desired location and tighten. 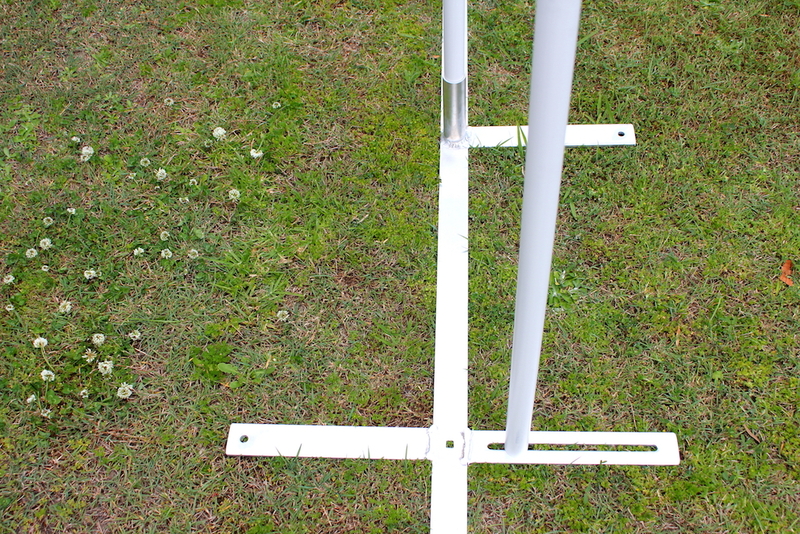 By moving the adjustable holder to the centre you have easily turned your training weavers into a competition set.